PLEXUS is joined by an array of guest instrumentalists as it presents a concert of ethereal music, performed synchronously with a newly commissioned phosphorescent installation by light artist Kit Webster. Luxembourg-born Australian composer Georges Lentz transports us to the realm of his self-described ‘mystic sound web’ with Nguurraa, which forms part of his magnum opus Mysterium, inspired by Pythagoras’ poetic notion of the Music of the Spheres. American composer and poet Joseph Schwantner responds to his own poem Sanctuary with his gleaming Music of Amber – “Sanctuary. . . deep forests, a play of shadows, most ancient murmurings from a dark millennium, the trembling fragrance of the music of amber. . .” English composer Gavin Bryars awakens a radiant sense of other-worldly space with Sub Rosa, and American composer Frederic Rzewski exalts the crushed voice of the oppressed with Coming Together, his epic setting of the letters of Sam Melville, an inmate killed in the 1971 Attica Prison Rebellion. Presented alongside are two newly commissioned world premieres by acclaimed Australian composers Thomas Green and Kate Moore. 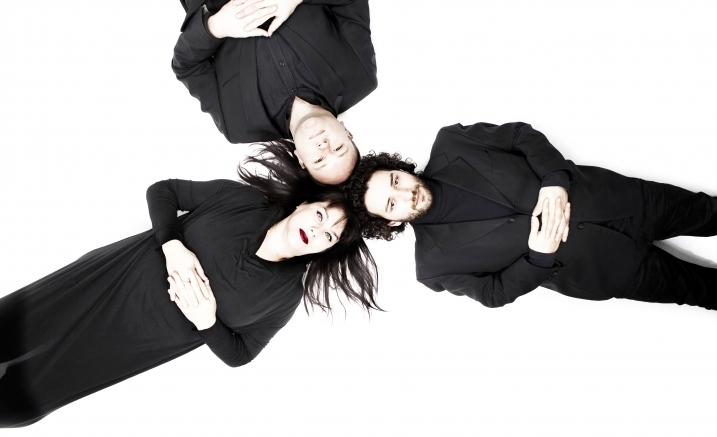 Melbourne ensemble PLEXUS brings together the talents of three of Australia’s most vibrant and versatile musicians, violinist Monica Curro, clarinetist Philip Arkinstall and pianist Stefan Cassomenos, with the goal of commissioning and celebrating Australian and international composers. The ensemble is devoted to engaging an ever growing network of exceptional artists, celebrating their contribution to Australia’s rich and diverse cultural landscape. Since launching in 2014, PLEXUS has commissioned and premiered over 100 new works. PLEXUS is exclusively supported by private donations, and all funds raised are dedicated to the commissioning and presentation of new music and collaborations. Purchase the PLEXUS three-concert package and save!